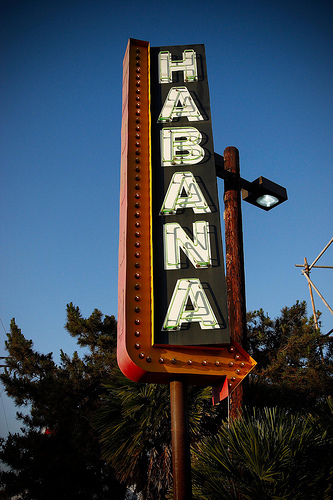 nick is taking me on a date tonight (woo-hoo) and we’re headed to one of our favorite spots in orange county: habana. when i went to spain a couple of years back, i somehow became addicted to cuban food (wrong continent, i know). when i got home, it was all i could think about and i had to find a decent mojito and plaintain fast or i would’ve gone insane. enter habana. it’s not completely authentic but they sure do come close. they don’t mess with classics like ropa vieja or arroz con pollo, but they do make some dishes more modern. the combination of slow-cooked beef, cuban rice, and a fried plaintain is a glorious marriage of flavor that everyone [who eats meat] should experience. they also do justice to the classic mojito with freshly-muddled mint and GOOD rum. they also offer a couple of twists for the non-conformists (blueberry and pomegranate are add-on options). i’ll have to post pictures of our meal later. 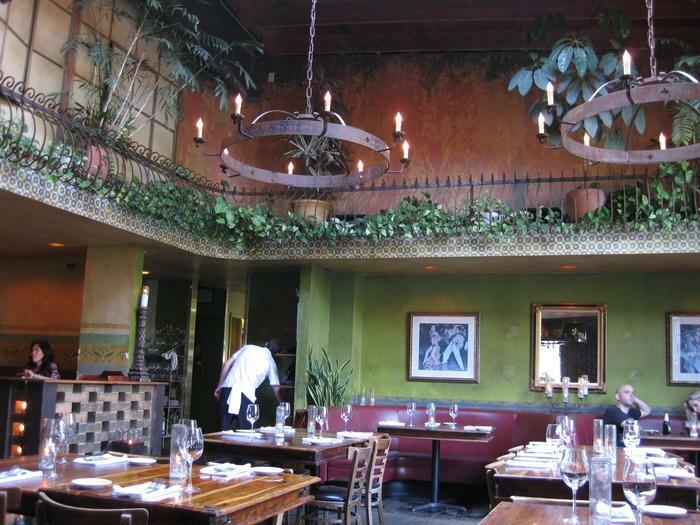 oh, and did i mention the interior of habana is gorgeous? i have a picture of it in the daylight (see below) but at night, hundreds of candles (safely lit in hurricanes) make the place glow. it feels like you are eating in a little cave.